In today's economy, the question is - "How to Get Hired?" Is there a magic ticket somewhere to the golden opportunity? How do you find a job when so many people are unemployed? Learn about 3 Ways to Find a Job in this article by Kevin Donlin. Want to get hired faster? You can almost always shave days, weeks -- even months -- off your job search if you stop following the herd. In my 8 years of helping people find work, I've watched too many job seekers take too long to get hired because they do the same things as everyone else. This is especially true for recent college grads. So start doing a few things differently in your job search. And start getting called for more interviews. (1) Look for the jobs where others don't. When you began your job hunt, where's the first place you looked for openings? I'll bet my next house payment it was either the classified ads or the online job boards. That's where EVERYBODY starts their job search. And that's where you have the MOST competition for openings, like fishing off the same pier with 10,000 other people. Where is the last place most people look for job openings? Their network of contacts. Specifically, current and past employers. You know, the people who've signed your paychecks. Think about it: if someone thought highly enough of your skills to pay you a salary every two weeks, do you think they MIGHT be willing to share job leads with you, or at least pass your name on to someone they know who's hiring? So today - right now - make a list of at least 5 current or former managers you are on good terms with and whom you can contact for job leads. Then call or email them to let them know what you're looking for. Today! (2) Write a very different cover letter. Sorry, but there's no nice way to say this - most cover letters stink like a high school gym locker. And, without seeing yours, I can predict with 95% certainty that it has one major flaw - it's focused too much on you and your needs. 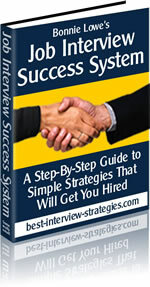 You want to know how to get hired? Stop focusing on your needs and start focusing on the employer's needs. Specifically, I'll wager the last cover letter you sent out was rife with language like this: "I am applying for a job with potential for advancement, where my skills will be utilized and where I will be challenged ..." or something similar. This is how almost everyone writes cover letters. I know, because I've read almost 10,000 of them since 1999. Instead, do this: replace every "I" and "my" in your next cover letter with the word "YOU." This will force you to shift the focus from "me, me, me - gimme a job" to "you, you, you - how can I help you, Mr./Ms. Employer?" Your cover letters will be dramatically more effective. And you'll start getting more interviews as a result. (3) Follow up differently. Most folks fail to follow up effectively after sending out their resumes and cover letters - when they follow up at all. Instead of calling employers every week and asking, "Did you get my resume?" or "Did you make a hiring decision yet?" try to add value each time you follow up. Examples: research the competition and write up a quick report, then send it to the hiring manager. Or share a success story from your past that's relevant to the employer's situation. In short, try to give employers another reason to hire you every time you contact them. Nobody else is doing this, which is a screaming opportunity for you to get noticed -- and get hired. Now. These three tips are predicted on a simple idea: why be ordinary? You can break out of the herd - and find a job faster - if you do just a few things differently in your job search. Why not start today? Now go out and make your own luck! Kevin Donlin is President of Guaranteed Resumes. Since 1996, he and his team have provided resumes, cover letters and online job-search assistance to clients in all 50 states and 23 countries. Kevin has been interviewed by USA Today, CBS MarketWatch, The Wall Street Journal's National Business Employment Weekly, CBS Radio, and many others.